Being a blogger, obviously access to a computer is a necessity. For the past few years, I have worked solely on a laptop as the only area for a computer desk is used for my son's desktop. Using a laptop is very convenient since I can take it wherever I need to, but there are some drawbacks as well. I have found that I have sacrificed performance to get a laptop in the same price point as my desktop. Meaning I could get more memory and speed for the same money on a desktop as compared to most laptops. I don't mind spending money, but I do mind wasting it. I want to be sure I get the most out of my laptop. Also, since I am no longer using a mouse, a great touchpad is a must. It took me so long to get used to the one on my current laptop because it is not the smoothest or easiest to use. Another huge disadvantage of my current laptop is the webcam is very poor. I don't even use it because not only is it hard to use, the quality is not sufficient. A good webcam would be great for video reviews, though, which is why I would love a good one on my next laptop. Basically, I am shopping around for a new, improved laptop. There are clearly hundreds of choices out there, and countless places to look when shopping. It can be very overwhelming if you don't know where to look. Thankfully, I knew exactly where to start. Best Buy always has the best tech brands and products, and the information I need to make an informed decision and even get personal advice if I need it. 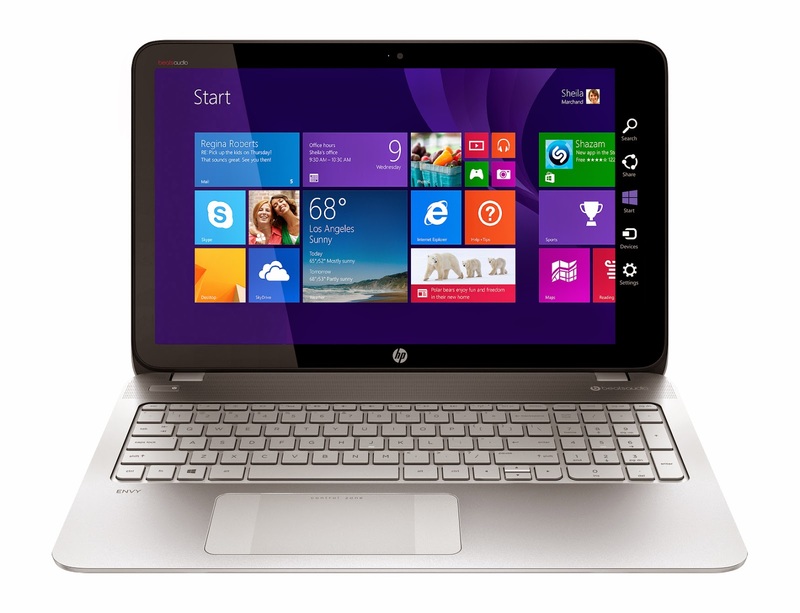 After a great deal of comparing, I think I have found my new laptop, and it will be a HP Envy Touchsmart Laptop. This laptop has it all, including the extreme performance of AMD's most powerful mobile processor - the AMD FX Special Edition APU. The AMD FX Special Edition APU will provide you with unbelievable performance, gaming and productivity. The HP Envy Touchsmart Laptop boasts award winning graphics, 10 compute cores (4 CPU + 6 GPU), unbelievable PC performance, exceptional gaming and entertainment experiences and mega multitasking. I multitask essentially all day, every day. Also the super-fast processor makes it easier to stream video at a higher quality. Since my 3 year old dominates the TV in the living room all day long, I do all my viewing on Netflix and such, making quality streaming imperative. Also, the HP Envy Touchsmart Laptop is 15.6", making it the perfectly sized for easy travel while allowing a great working/playing experience. Additionally, it is thin and lightweight for maximum comfort while in use. Speaking of features that make it easy to use, the touchscreen is a huge asset. My current laptop does not have a touchscreen, and I constantly find myself wishing it did and thinking how much easy this or that task would be if it had one. I have been looking for a touchscreen laptop that was really a laptop(in terms of performance) and not a fancy tablet. The HP Envy Touchsmart Laptop 15.6" is exactly what I have been looking for. 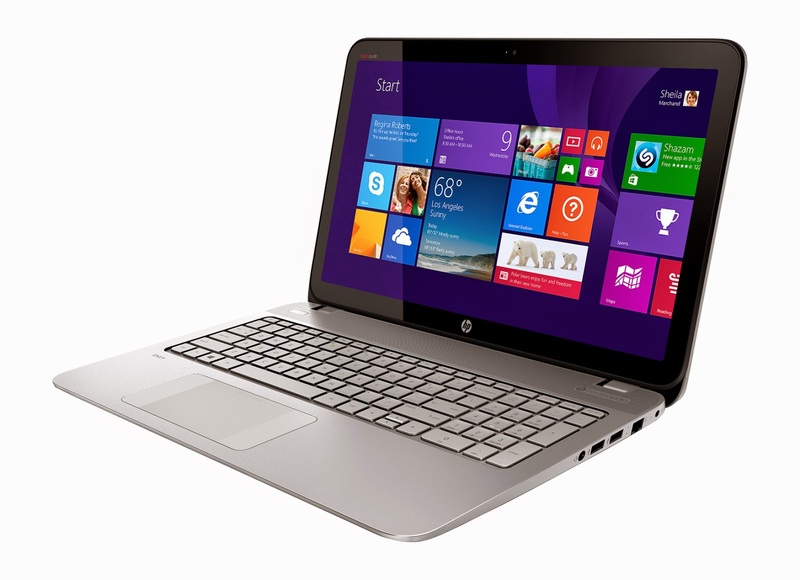 Of course, I will be purchasing my new HP Envy Touchsmart Laptop from Best Buy. Not only does Best Buy have the best price, but they also offer free shipping on orders over $35 and free store pickup in as little as 45 minutes. While I love to shop at Best Buy in store, I just have to take advantage o the free shipping option. Since I don't drive, the only way I can shop is if I have my husband take me when he is off work, which is his relaxing time. Now I get my laptop and he can take a nap, everyone wins. If you are in the market for a new laptop, the only place you need to look is Best Buy. I would suggest starting with the HP Envy Touchsmart Laptop for superior performance, features and value. It has everything you could need or want at a price that even I think is good. Happy shopping. I visit your blog regularly.